Make sure you share core values. Most times you see a person who see it normal taking advantage of others in a relationship with someone who is committed in helping out. This type of relationship won’t last because of this drastic core value difference. The most important thing is that you share the same values in terms of how to treat people, making money and handling money, how to raise children, that honesty and integrity are important, etc. Your firm beliefs should be harmonious with those of your partner. Ask yourself if you can live with it. Though you may have same core values; there will be some differences even if minor or foreseeable ones. Ask yourself if you can live with them. There will definitely be differences in culture and may be certain practices, and being honest with yourself well ahead of time on whether or not you can live with those differences is important. Get to know about the other’s culture through research beforehand. Feel free to discuss each other’s culture. Ask your partner questions and be ready to answer when asked. You have to talk often. You must talk. Any couple can have communication problems whether of the same culture or cross cultural. Early communication problems in a relationship indicate a sign of difficulty to come, however if you talk often with open minds and honest feelings and views, a lot of problems would be averted. 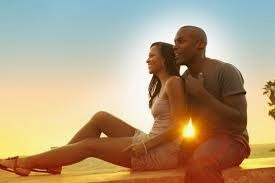 It will also help you sort out your problems and further understand your partner and their culture. Cross cultural relationship can work. Most have worked. The most important is that the two people in a relationship are ready to make it work and are open minded about their traditions and beliefs, as well as the understanding of each other. If they can always put their love for each other above prejudice and pride and remember to communicate their feelings clearly then they would be added to testimonies of cross cultural union. To be romantic, you can give them something from their culture as a gift, just to show you appreciate who they are and their history. This act will surely bridge your cultures together.